QHow do you look at your ten years as a Cabinet Minister under two different governments? In our country, alternative political forces are scared to take up governmental responsibilities. They relish in the habit of criticizing with the use of colourful jargon. The JVP, for example, held such portfolios only for a short while. Then, we, as a political force outside the mainstream, set an example in the successful operation of ministerial duties. We are happy about it. There was one set of utopian politicians who, driven by wishful thinking, employ colourful jargon to talk about their politics. They are leftist political forces. It was there since the formation of Lanka Sama Samaja Party (LSSP) in 1933. They were awakened to reality in governance when they joined the government in 1970s. In contrast to them, we found another set of politicians who took up Cabinet posts and appointed their kith and kin for various assignments. They belong to the lot that hoarded wealth locally and internationally, and sent their spouses and children abroad for greener pastures. They indulge in corruption and all. I stood as an example to both the categories. I am a person who held key cabinet portfolios. They were the Ministries riddled with problems. We ran them without corruption for the first time. We injected professionalism to these ministries. We developed them to a level so that they need not become dependent on the Treasury. By the time we took over, the institutions like the Forest Department and the Wildlife Department. We strengthened them financially. For the first time, we introduced appraisal of professionalism. We proved that even the government institutions can compete with the private sector. We managed to resuscitate the crisis ridden Ceylon Electricity Board (CEB) and Ceylon Petroleum Corporation (CPC). On occasions, we did not receive the cooperation from the government at the time or the Finance Ministry for that matter. Diesel and coal mafias launched a scathing attack on us in the media. Notwithstanding all that, we brought about a renewal in the CEB. We ensured 24-hour electricity supply. We connected the north and the east with the national grid. In 2010, we improved its financial situation. It was projected to incur a loss of Rs.40 billion. However, by the time we handed over, it had recorded a profit running into Rs. 5 bn. We faced difficulties such as diesel price hike, drought etc. For the first time, I introduced a concept called ‘Demand Management’. All tried to construct more and more power plants to meet with the increased demand for electricity. There was a prolonged dry spell running into months. We did not go for power cuts. We were able to do so because of demand management. We introduced the green energy concept. In 2010, we afforded the opportunity for consumers to fix rooftop solar panels and sell off additional electricity generated to the grid. We did it despite objection by some engineers. Above all, we worked out the energy policy aimed at achieving self-sufficiency in energy requirements. We planned to go for green energy using our gas resources by 2030. In the CPC, we managed to curb corruption that was happening through unsolicited proposals. We introduced competitiveness at the CPC during the 100-day period of the Yahapalana Government. We closed all the expensive thermal power plants. We introduced the spot tender process to purchase coal, breaking the monopoly of one company. The coal mafia had spread its tentacles across the entire government machinery. Yet, for the first time, it was we who introduced the two strategic economic models for this country after former President, the late JR Jayewardene. In view of the election campaign of former President Mahinda Rajapaksa in 2010, we introduced the five-hub concept’. Q What is the comparative advantage of Sri Lanka you talk about? I identify two in this instance. One is our geopolitical location. We can capitalize on this to make this a financial, commercial, air and naval hub. Now, tourism is an added component to this. We introduced this concept as a theory in 2010. It became the policy of that government. We always lament about the lack of Foreign Direct Investments and less industrialization. It is completely true. The reason is Sri Lanka lost the comparative advantage in this regard. In 2006, we managed to get only US $ 800 million as FDI. However, Myanmar attracted FDIs worth US $ 6800 million and Vietnam US $ 15,800 million. Why do we get only a minuscule? We do not provide cheap labour. We have strong labour and environmental laws. Whatever infrastructure is laid for industrial zones, we do not get enough FDI. For us to reach the next level of development, we need to adopt innovation –driven economic model. We should move for knowledge based economy. We submitted an investment plan accordingly. President Jayewardene liberalized the economy. Then, there was the state-owned economy during the time of former PM, the late Sirimavo Bandaranaike. Some involved in much wrangling about these two models. For them, we presented a novel model for consideration. We are happy about. It became the decisive policy pillar of two successive governments. QThough you said Sri Lanka lost the comparative advantage for attracting FDI, the main slogan of the current government is the establishment of industrial zones with FDI and signing Free Trade Agreements to sell our products to the rest of the world. Do you see it as an unviable option? In the overall context, we need political cooperation with the countries. For example, the United States cooperated with Taiwan and Hong Kong and invested there as countermeasure for its wrangling with China. Some countries turned to Vietnam for investment over the dispute with China. Other than investment attached with strategic political interests, Sri Lanka holds less chances of attracting general investment in the broad, overall context. However, we stand chances for investment in knowledge-based projects such as gene technology, nanotechnology etc. Our basis should be knowledge-based services. I see three stages in our country. First, the tea industry initiated by James Taylor 1864, and then the garment-dominated export economy started by President Jayewardene in 1977. We have entered the third level now. We have to do develop knowledge- based services and products. We have to attract investment in that direction. Whatever number of industrial zones are set up, we will not get investment other than those with geopolitical colouring. Even local investors turn to Vietnam and Bangladesh today. Q What is your future political plan? We do not indulge in any publicity blitz. We do not intend to do work worth a single rupee and advertise it as if something worth Rs.100. We, however, act according to a systematic plan. It has been accepted by the general public. We know it going by attacks on us. These elements are scared of us. So, they have resorted to character assassination posting utter falsehoods on websites. First and foremost, we are committed to protect the Yahapalana government which we formed. Especially, people voted for this government not because the Mahinda Rajapaksa government failed in its performance or development activities. People voted for this government because they believed there was large scale corruption during the previous rule. Past corruption should be penalized. Alongside, present corruption should also be dealt with. Especially, action should be taken against the Central Bank Bond scam. The government should be made clean. We need to bring in laws for prevention of corruption in the future. Minister Sarath Amunugama has drafted a Bill. I am also a party to it. It has to be enacted. We need to instil confidence in investors. As for my ministry, we have not received enough investment by the government. However, we are implementing the largest investment called the ‘Port City Project’. We are doing it very successfully. We have accelerated the project to meet the targets even before the initial schedule. We sorted out all legal and environmental issues. We are laying the background for the introduction of a light rail system with the involvement of the Transport Ministry. QYou held ministerial responsibilities in the last government, and you are a Minister of the present government too. How do you compare and contrast the present government with the previous government in terms of corruption level and efficiency? The previous Govt. acted in a frenzied manner to carry out large-scale development projects. For that, it had to borrow excessively. The country is in a crisis today due to it. The present government virtually faces a limit in borrowing as a result. It cannot give its sovereign guarantee for the inauguration of major projects. The government has to resurrect the country from the current situation. The space for State-sponsored mega development projects is shrunk. The government has to impose taxes to gain revenue for the settlement of loans obtained previously. There is an economic setback under these circumstances. If we ensure fiscal discipline for a period, we will be able to tide over the crisis. If the President and the PM act to ensure it, we will get the chance for sustainable plans in future. QAs for stability of the government, we see the Ministers taking on each other. It has hampered the decision-making process of the government. How do you see it? Well, it is the strength of this government to leave an opening for criticism of the government’s leadership and to listen to public opinion. It is not a weakness. As for the government’s policies, I have to say that the two parties and those involved should act in consensus with each other. The policies of individuals should not be implemented. Then only, stability could be secured. QYou siad there were signs of resurgence of terrorism. How serious is it? The Tamil society should understand what a lot of things it could achieve through unity with others. I have to say one thing. As Tamil leaders such as SJV Chelvanayagam advocated separatism, the areas inhabited by Tamils in the North and the East remain backward in every sense today. The Muslims and the upcountry Tamils, who acted in cohabitation with the Sinhalese, have gained immensely in terms of socio-economic development. We should not get carried away by inflated egos of those advocating separatism. If they work in cohabitation with others, the new generation of Tamils in the North and the East would stand better opportunities in life. Instead of looking to foreign powers such as India, they should look at Sri Lanka. We should not underrate extremism. Recently, we heard reports of a plot to assassinate TNA MP M.A. 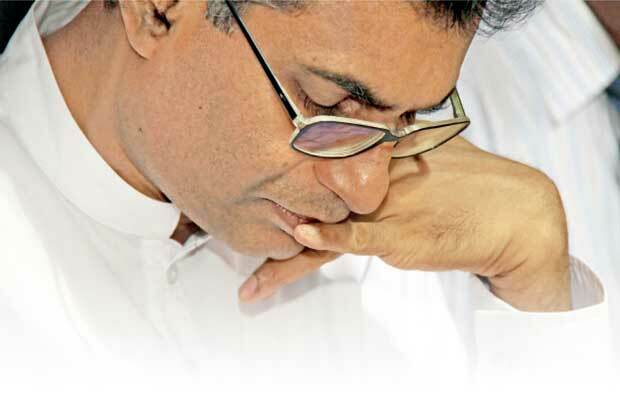 Sumanthiran. This is similar to the plot worked out by the LTTE to kill Neelan Theruchelvam. We should not leave room for anyone to operate terrorist activities. There are those crowing over the presence of the military in the North. Only with the assistance of these military forces and the police, we can arrest the resurgence of terrorism. We do not have a war situation there. So, we need smart defence operations. We do not need to have a large military presence there. We have to develop our Navy and intelligence services. When Prabhakaran was alive and the LTTE was in possession of artillery guns, those who did not travel beyond Medawachchiya, are trying to become heroes today. They are trying to create fear psychosis. They were in hibernation at that time. When Chandrika and Mahinda Rajapaksa tried to introduce a Federal Constitution at that time, it was we who thwarted it. We only acted decisively against terrorism in Mavil Aru at that time. Then, MR was opting for talks with Prabhakaran. We stood for his government during trying times. We will act without hesitation for the stability of this country even in the future. We will never compromise it. We enjoy religious harmony in the country. Buddhism is not the State religion though the Constitution says it is given the foremost state. It does not enjoy special privileges or benefits. Other religions are also treated equally. We want to protect the status quo. QParliamentarian Ven. Aturaliye Rathana Thera, who represented your party has decided sit as an independent member. What is your position on it? Our party’s Central Committee got an assurance from him at that time that he should relinquish his parliamentary position if he decided to act as an independent MP. It was done when he was offered the MP post by the party at that time. We believe Ven. Ratana Thera would honour it. The MP slot is meant for the party not for an individual. He could resign from it and act as he wishes. QHow do you look at the next national election? That eventuality has not arisen as yet. In a nutshell, whoever boasts of anything, we will be the force that changes the course of the country as done in 2005, 2010 and 2015. The JHU has evolved into a broader political force with a scholarly outlook. QThere are rumours that you would contest the next election as a presidential candidate. How true is it? This is a story spread by those scared of us. It is done wilfully to scare away certain others and to subject us to mudslinging. More than becoming the President, we will act as the force that determines the policies of the next President. We did it in 2015. We will do it in 2020. QWhat is your position on the move to hand over the Hambantota port to a Chinese company and the Trincomalee harbour to India? We have to act according to the comparative advantage we have. We have to bear in mind that China is becoming the global leader in a context where the United States is stepping down from it. The US hegemony is collapsing in the Indo-Pacific region. China is engaging rigorously in the region. China is pursuing its one belt-one route policy. It is investing in building a mega city in Egypt. It is building ports in Djibouti and Iran. It built a port in Gwadar, Pakistan. We should be proud that an Asian country is making giant strides. We, as a small nation, should not favour anyone. Mr RanawakaWho is this 'WE', do you mean you? because there is no Hel Urumaya any more.